Activities last either 1 hour or 2 hours depending on selection. For amazing adventure and fun in Pigeon Forge/Gatlinburg, TN be sure to head to TopJump Trampoline Park and Climbing Center. This amazing center features tons of incredible ways to have a blast with the entire family, so do not miss out. When you visit the center, guests will have the option to choose 1 Hour or 2 Hours of Arena time. Within your time slot, you will be able to enjoy all of the features of this trampoline park. Do all the flips, runs, and dunks that you want at this safe and adventurous course. The park features several different activities that are sure to be a blast. Guests can take to the open jump, airbag or the fire and ice ninja course. Feeling a little sporty? 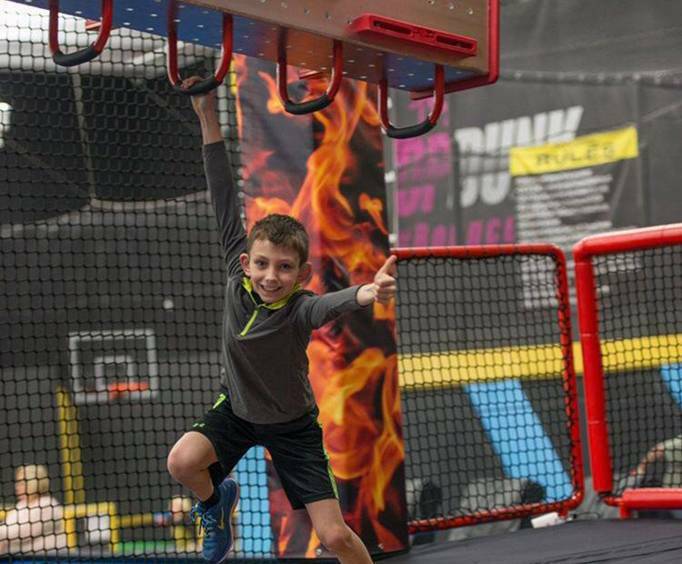 Get in a game of trampoline pad basketball or dodgeball or take on the battle beam! The smaller kiddos can still have fun too at the Kids Zone. Once guests have worn themselves out jumping, they can head to the arcade to cool off with some fun games. The arcade is comprised of many of your favorite games in a 5,000 square foot area. Guests can choose to play classic skee ball or video games while earning points they can redeem for prizes. As with any arcade, guests must pay to play. Nothing compliments fun better than candy, and guests can satisfy their sweet tooth at Sugar Rush. This shop offers up everything from Nerds boxes the size of a box of cereal, jawbreakers, lollipops, and more. Do not miss out on all of the fun at the TopJump Trampoline & Extreme Arena the next time you are in the Gatlinburg/Pigeon Forge, TN area! This ticket includes one hour of jump time at TopJump Trampoline & Extreme Arena. 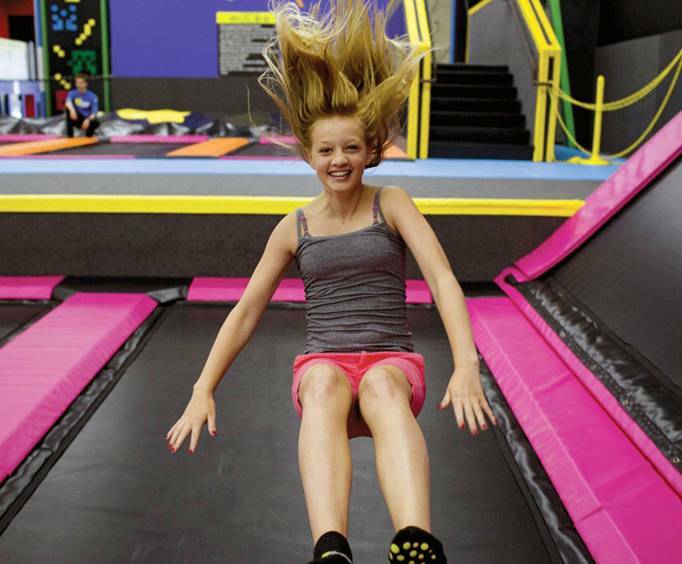 This ticket includes two hours of jump time at TopJump Trampoline & Extreme Arena. What is included in the admission price for TopJump Trampoline & Extreme Arena? Guests can choose one hour or two hours of arena time. 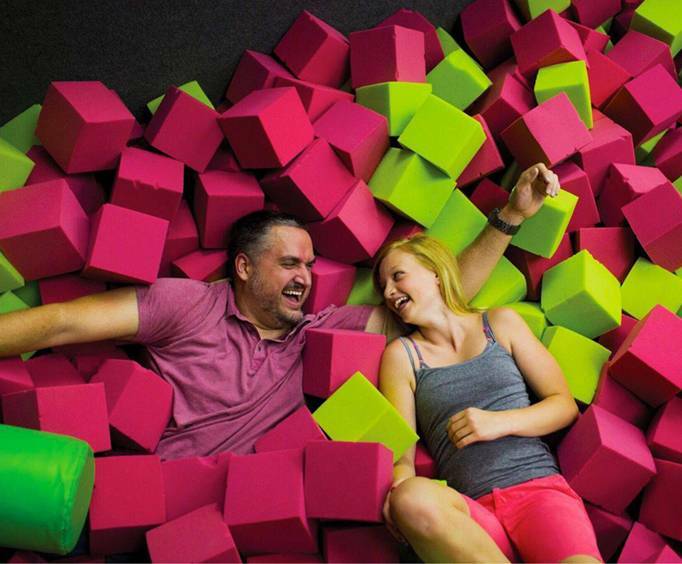 Approximately how long could a customer plan to spend at TopJump Trampoline & Extreme Arena? One or two hours depending on selection. Is TopJump Trampoline & Extreme Arena handicap accessible? For what ages is TopJump Trampoline & Extreme Arena appropriate? Is parking available at TopJump Trampoline & Extreme Arena? Is it free?